That seems to be Taunton native Mia Boostrom’s guiding principle. 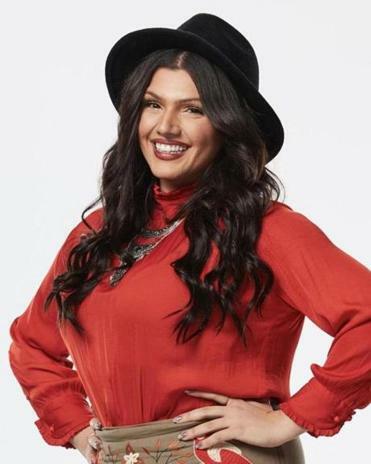 Boostrom, who made it pretty far along on “America’s Got Talent” a decade ago — when she was just 15 — passed her initial audition on “The Voice” Monday night. Boostrom offered a powerhouse take of Zayn Malik’s “Pillowtalk,” after which Adam Levine, the Maroon 5 frontman who’s one of the show’s judges, turned his chair around, meaning Boostrom is on Team Adam — at least for a while. She’ll now advance to the talent competition’s “battle rounds,” placing her head-to-head with other vocalists vying for superstardom.